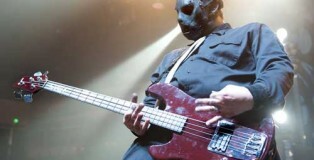 Music is an intensely personal thing. Each of us have wildly different reactions to the rhythms, words, and beats that someone else put together for us. Sometimes we hear a song that connects with us, electrifies us, inspires us and we rush out to inform others that we’ve stumbled across the next great band. Sometimes they agree, while other times we’re greeted with confused grimaces before our friends tell us they hate it. It’s a mystery why one person can be entranced by a certain band and another person, similar to the first in a million ways, finds the music awful. 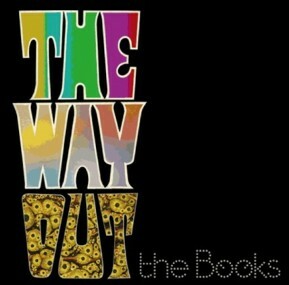 This is what I’m thinking about as I present you with my next musical offering: The Books – The Way Out. The Books are an electronic/funk/folk/noise-pop/other-ill-fitting-labels duo from New York City that started working together in 1999. The idea was simple, to utilize random vocal samples from various sources and incorporate them into synthesized beats. The execution of that simple idea stradles the fine line between genius and madness, and I willingly give myself over to their insanity. This band is one of the most exciting discoveries I’ve made in months. A New Meaning For "Turtle Head"
Like it or not, more then Kurt Cobain’s legacy is being controlled by the drug addled walking train wreck known as Courtney Love. Their daughter, Francis Bean, who is turning 18 on August 15th, has been scarred by this woman even more then her singing scarred us. Last December, a restraining order was placed on Courtney to keep her away from her daughter – a good sign that Francis might be trying to maintain her sanity – but Courtney is doing everything she can to damage the 17 year old anyhow. Courtney recently warned that she fears Francis will kill herself with drugs! That’s a pretty strong thing to say. What sort of proof does Courtney cite in this warning? None. She simply says that since Francis has so much money, it’s obvious she’s going to start doing enough drugs to kill herself.